Flamenco dance originates from the region of Andalusia in southern Spain and is the classical dance form of many Hispanic cultures. Elegant, exciting, haunting and graceful, flamenco evokes images of courtly gentlemen, beautiful ladies and passionate emotions. 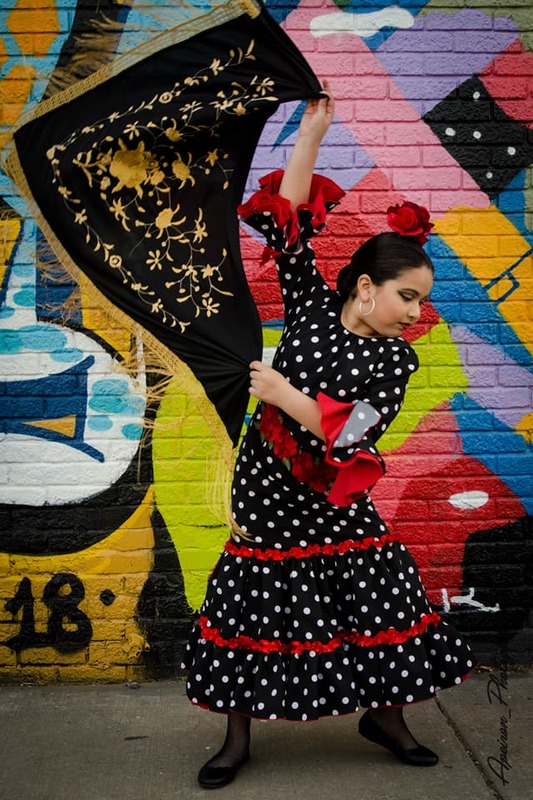 Flamenco classes are offered for students ages 5 and above. 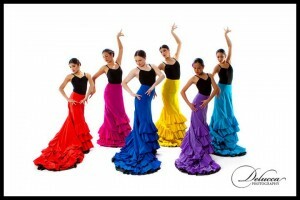 Students must purchase a Flamenco costume; consult staff for details. Dress Code: Flamenco skirt or folkloric practice skirt, tights or socks, black leotard, black flamenco or folkloric shoes with nails. These are available through the studio; consult staff. 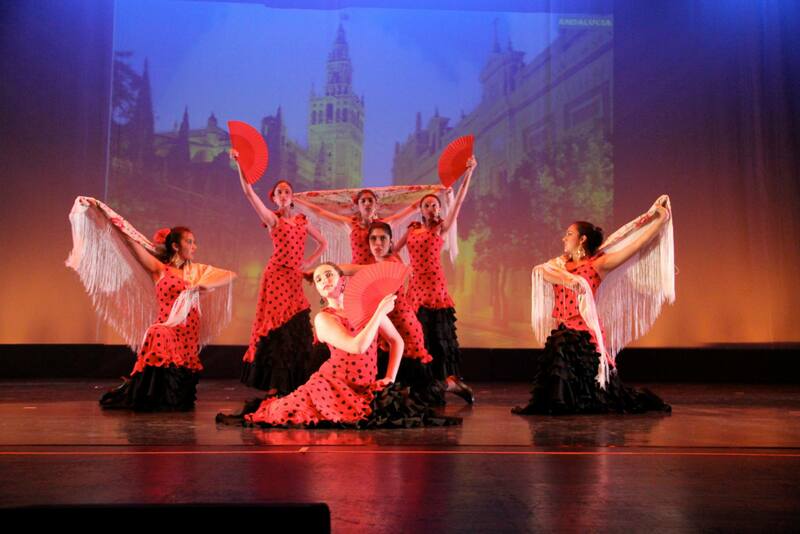 Custom-made flamenco costumes, ordered through the studio, will be worn for performances. Please consult staff. For performances, dancers wear fishnet tights for Flamenco, suntan tights for Folkloric.